Last Thursday we held our Family Learning Morning as part of Design Week. The children had a fantastic time making chairs, tables, beds and cupboards with their parents and family members using boxes, tubes, lolly and match sticks, and the results were amazing. 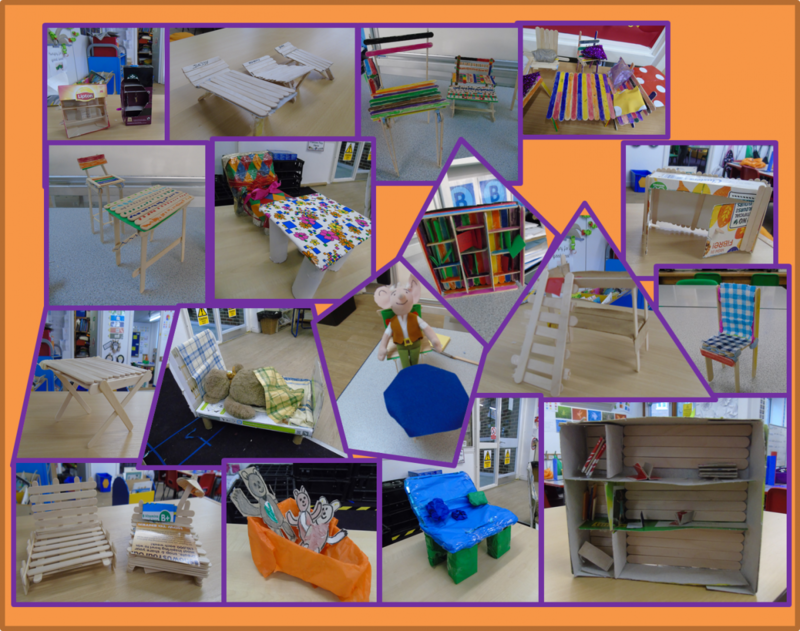 The models linked to some of the topics being taught in school at the moment, such as furniture for the 3 Bears’ House in Year 1 or for The BFG in Year 2. As well as thinking about what to make the furniture out of, while making the models the children had to think about how they were going to attach and secure the different parts and make sure it was stable. persevered when things got tough! Thank you to everybody that came along and helped on the morning and to Frankie Fernandes, Racheal Burke and Helen Simon for planning the week’s activities. Be sure to click on the image below to take a closer look at some of our models.